Editor’s Note – Are you interested in getting your city into an urban gardening movement? This article has 5 tips that can help you make that happen. Create yardfarms wherever you can! This article was originally posted on Seedstock and written by Khristopher Flack. Many cities have been integrating urban gardening into their patchworks for decades. Other communities are just getting started. Here are five strategies for jump-starting new urban agriculture projects and sustaining those underway. Cities are big places, and most people don’t have the vantage point to discover every potential growing site at a single glance. To navigate their own scale, cities interested in urban agriculture have taken land inventories. They’re just like the inventory a shop clerk takes, but instead of counting boxes, city planners look at parcel maps and other data to map unused spaces that could support food production. A city may choose to focus only on public land, or it may distinguish between public land, private land, rooftops, greenbelts, and public lands like parks that already host outdoor activity. Some go a step further by ruling out spots with clear environmental risks like flooding or contamination. However they happen, inventories are informative and often revelatory first step in understanding a city’s capacity for food production. If you’ve already conducted your own inventory in your neighborhood, consider sharing the results with your city’s planning department, who might be eager to integrate your discoveries into its urban ag plans. Growers not only need land, but they also need a secure water source, seeds, tools, community support, and much more. For this reason, the history of public farming is one of creative collaboration between growers, neighbors, property owners, city officials, and businesses. For new projects, a good first step is to make sure all these folks know your project exists. Have an old-fashioned block party to connect with the neighborhood, and share your excitement with the manager of the local hardware or garden store. Many are willing to donate or discount time, tools, or surplus materials. Partnerships can also help secure garden sites and bring food to market. Consider offering that company with the huge lawn a workplace CSA in exchange for garden space that also reduces the company’s landscaping bill. Partnerships between urban farms and restaurants, food trucks, or school kitchens are also mutually beneficial, distinguishing the kitchen’s product and providing cash flow for the farm. Gardeners can partner with each other in grower co-ops to leverage lower supply prices, distribute food, and negotiate with landowners and officials. In other words, don’t try to do it alone. A thriving urban agriculture—and a thriving city—thrives because stakeholders from throughout the community are talking with each other. Yields include more than food: better relations between officials and constituents, attractive branding opportunities for businesses, more dynamic programming for organizations, and better-equipped farms. Not to mention, the more you have to explain your project, the more likely you are to see your project in a new way and deepen the very important partnership between you and your work. It’s exciting to open a garden in the city. It’s a lot less exciting to suddenly find out after a season or two that the garden has to go because the city only allows houses or businesses there. Deciding which activities can happen in a given space is called zoning. 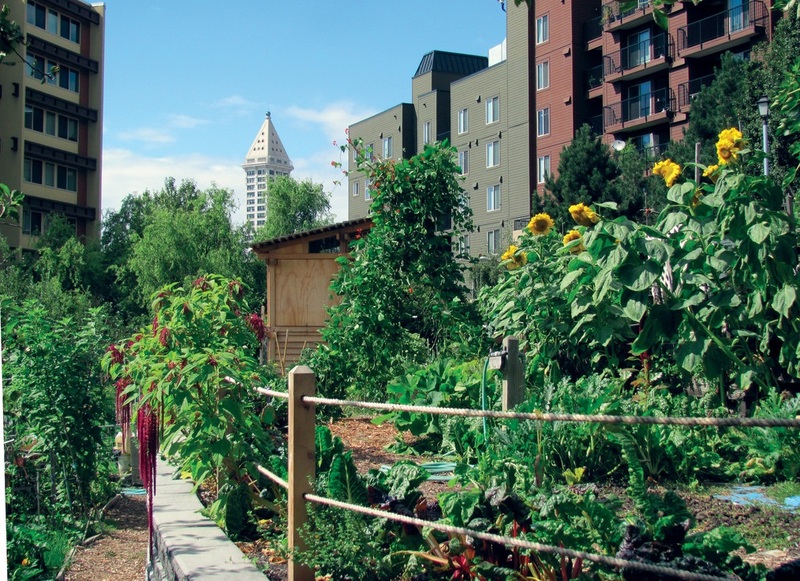 To provide clarity and support to urban growers—and to avoid the situation described above—many cities have built urban agriculture into their zoning code, giving agriculture its own parameters, along with some version of a place on the zoning map. It could be as simple as an ordinance permitting a certain number of backyard chickens, or it could be a full-on city food plan that accounts for land access, water use, food sales, and other issues. In places that are less enthusiastic about urban agriculture, determined growers might consider “farming” a collection of small gardens on home lawns or invoke right-to-farm laws. Many cities have antiquated laws that unnecessarily place burdens on would-be urban farmers. If this is the case in your city, consider building a coalition to lobby your city council or board to change regulations, and come armed with examples in other cities where things work the way you want them to. For urban gardeners working to feed themselves, the idea of producing and selling a surplus may be unnecessary or run counter to the garden’s mission. But for large gardens and urban farms, turning production into revenue is an important means of keeping the farm alive and encouraging new farms to break ground. 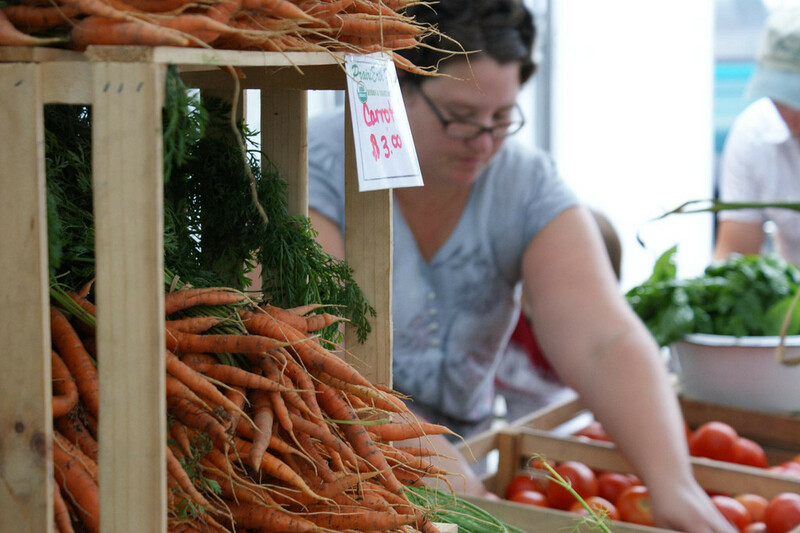 City officials and property owners can help by continuing to allow and promote farmers markets, food trucks, and public events that celebrate the city’s farms and farm products. Food businesses can help by prioritizing relationships with urban farmers, facilitating food distribution, or providing licensed commercial kitchen space for farms interested in developing their own value-added products. Market access also means making sure residents being asked to buy city-grown food can find it and afford it. Creative solutions to this challenge include mobile markets and EBT matching programs, both of which help bridge gaps between locally grown food and low-income shoppers. If any gardening or farming initiative is going to last, the soil has to last too. To that end, compost does wonders. Urban garden supply shops have been answering the demand on a small scale, but at some point, buying 20-pound bags of compost or driving outside the city to bring it in by the truck load becomes inefficient and wasteful. Fortunately and unfortunately, American cities generate approximately 74 billion pounds of food scraps per year, providing entrepreneurs, public works departments, and farmers with ample material for municipal composting operations. Cities like Portland have had tremendous success through the city and privately operated systems, returning literally tons of healthy humus to home gardeners and urban farmers alike.